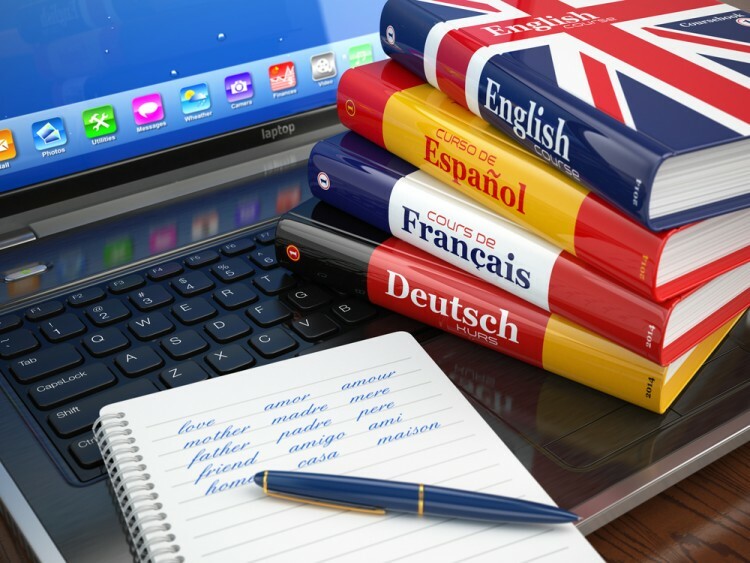 If you’ve ever wanted to be fancy and speak more than one language, this list of the easiest languages to learn for anyone should be a great guide to help you pick one. I had to take a foreign language class in both high school and college, so I went with Spanish in the former and French in the latter. I honestly don’t remember how to speak either language at all, but they weren’t too terribly difficult while I was learning them. In theory, I should be able to learn Spanish pretty easily considering it’s a Latin-based language and so is English, which I obviously can already speak. That being said, I could really learn any other Latin-based language if I tried hard and believed in myself, but as bad as it is to say, I have such a poor attention span it’s hard for me to focus enough to learn something that new. If anything, most US-born English speakers have a particularly hard time learning new languages because the education system doesn’t implement them into the curriculum or value them as important. I wasn’t required to start learning a language until high school, and by that time it’s a bit more challenging because my primary language was so well developed that I had trouble with translations. Additionally, I find it harder to learn something like that when I’m being tested and forced to learn it. There are, however, languages that are included in the Easiest Second Languages to Learn for English Speakers, and I wonder if they’re easy for anyone else as well. It would also be interesting to see how close to English those languages are and if that contributes to the ease of learning. In order to create this list of easiest languages to learn for anyone, we had to consider a few factors. First, the popularity of a language determines ease of learning because if more people speak it there’s more opportunity for exposure. Next, the native language of the speaker is important. Certain languages are easier for people to learn if it’s closer to their native language. Also, you have to consider passion and motivation for learning a new language. If you’re not willing to pursue it wholeheartedly, you likely won’t be successful. Quora was our main source to help us determine language difficulty and pick the ones that made our list. It helped us search by difficulty. Crack open your dictionaries, log into Duolingo, and get ready for the easiest languages to learn for anyone. 11 Easiest Language To Learn For Anyone 5 easiest second languages to learn for English speakers easiest language in the world to learn for english speakers easiest language to learn for arabic speakers easiest language to learn for chinese speakers easiest language to learn for hindi speakers easiest language to learn for non-english speakers easiest language to learn in general easiest language to learn in the world easiest language to learn on duolingo easiest language to learn on your own easiest languages to learn for spanish speakers learning Afrikaans learning English learning Esperanto learning French learning German learning Indonesian learning Italian learning Malay learning Mandarin learning Portuguese learning Spanish List XFinance Slideshow Which language is the fastest for learning? Which language to learn?